Prime Minister Theresa May has created a taskforce of engineering and aerospace experts led by the UK Space Agency "to develop options for a British Global Navigation Satellite System that would guide missiles and power satnavs", No. 10 said. 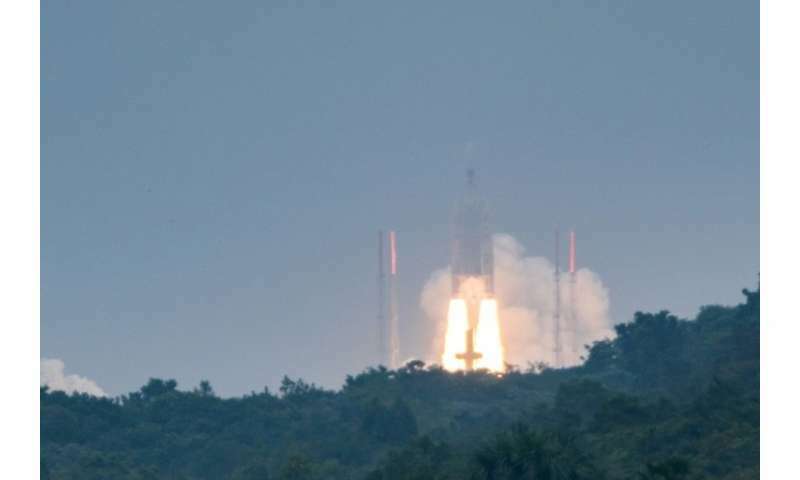 The EU has indicated British companies could be blocked from bidding for contracts on Galileo, its £9 billion (10 billion euros, $12 billion) satellite system developed to rival America's GPS. The bloc decided earlier this year to move one of Galileo's satellite monitoring bases from Britain to Spain after Brexit to "preserve security". A Downing Street source said: "We want full access to Galileo, including the crucial secure elements that will help guide British missiles should they be needed to keep us all safe. "But if we don't get access, we will find an alternative." Britain will be able to use Galileo's open signal, but its armed forces and emergency services may be denied access to an encrypted system when it is fully operational in 2026.
Business Secretary Greg Clark wrote to the EU Commission last month expressing concern about Britain's possible post-Brexit exclusion from the secure elements. The system would utilise the country's Overseas Territories and Crown Dependencies to provide the global network of locations necessary for the ground-based infrastructure, No. 10 added. These British territories currently house equipment needed for the running of the EU's Galileo system, it noted. A recent government review estimated that a failure of navigation satellite service could cost the British economy £1 billion a day, with defence, critical national infrastructure and emergency response all reliant on the technology. Britain is a world-leader in developing satellite technology, building 40 percent of the world's small satellites and one in four telecommunications satellites, with Glasgow behind more than any other European city.